Forbes has recently revealed its list of the highest-paid YouTube stars for 2018 which was an interesting mix of creatives who were most sought after and viewed and followed by millions for uploading unique content in the video sharing website. This could be anywhere from giving feisty or funny video game commentaries, fun makeup tutorials, unboxing and product reviews, or just being a happy little boy playing with toys like Ryan of Ryan’s Toy Review, which, by the way, is YouTube’s top earner for 2018. To unbox shiny new toys, get famous, and rake in millions of dollars, isn’t that the ultimate dream? 7-year-old Ryan of Ryan’s Toy Review on YouTube is living that dream for all us. The concept of most of his YouTube videos is simple. Ryan plays with the toys, whether it is a train, a Disney character, or building something with his favorite Legos in front of the camera and his parents upload it on YouTube. Sometimes his sisters or his parents star in the YouTube videos, too. The short videos spanning more or less than 10 minutes in length is always a hit. As a matter of fact, since the launch of Ryan’s Toy Review on YouTube in March 2015, the channel has gained a massive following of 17.3 million followers and has been viewed a total of almost 26 billion times. Unsurprisingly, he was announced as 2018’s YouTube top earner for 2018, making 22 million U.S. dollars in the 12 months up to June 1, 2018, according to Forbes. Where do all his earnings come from? 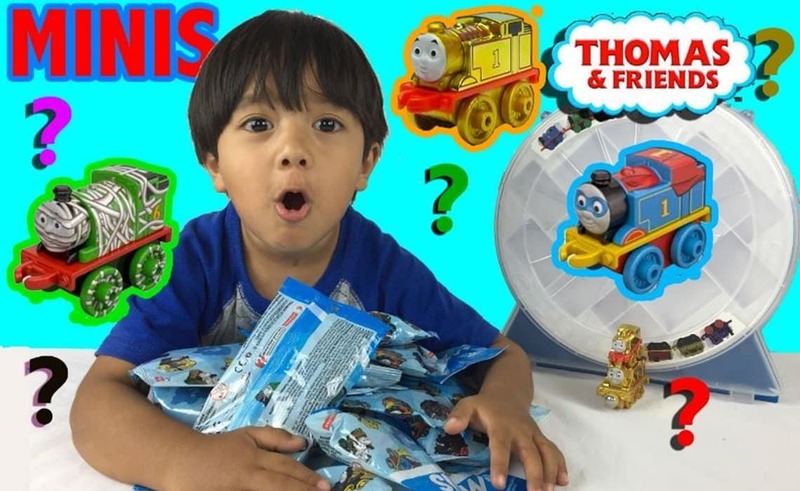 A huge chunk of Ryan’s million-dollar earnings comes from pre-roll advertising on his YouTube channels, Ryan ToysReview, and Ryan’s Family Review. The higher the views of the videos, the bigger the earnings become as well. Ryan has the biggest clout and viewership with other top contenders on YouTube’s highest-paid list for 2018. When it comes to sponsored posts, Ryan gets 1 million U.S. dollars, which is significantly low compared to what other YouTube stars are receiving. This is primarily due to his specific demographic, which are mainly young children who don’t have their own shopping money, and because Ryan’s family can be picky when it comes to the kind of deals they accept. “I’m entertaining and I’m funny,” Ryan, whose family still refuse to reveal his last name, revealed in a recent NBC interview when asked about what could have led to his instant fame on YouTube and his millions at such a young age. While this is also definitely true, experts explain that this is also because of the widely popular unboxing video trend on YouTube, which many, if not all, of Ryan’s Toy Reviews most popular videos, are a part of. In these type unboxing videos, YouTube content creators are filmed while literally opening the box of merchandise, whether it is an electronic gadget, a consumer good like makeup, or new toys in the case of Ryan’s Toy Review. According to experts, unboxing videos are extremely popular because they virtually share the experience of opening and exploring a product that the users want to have in real life. Others could be using it as some sort of a first-impression type of product review that they need to see before making an actual purchase. Getting the most out of his YouTube fame, Ryan has a lot of new partnerships, including his own show that will be distributed on Hulu and Amazon. He has also launched Ryan’s World in August, which is his signature line of toys and apparel exclusive sold Walmart. These big-ticket partnerships have not yet been added to Ryan’s total 2018 earnings. Jake Paul is an American actor whose first claim to fame was on the Disney Channel series Bizaardvark where he played the role of Dirk Mann, the lead star of Dare Me Bro who takes on dare requests. He has more than 17 million subscribers on YouTube and his rap songs and prank videos have been viewed 3.5 billion times. This channel specializes in amazing trick shots created by five friends Coby and Cory Cotton, Garrett Hilbert, Cody Jones, and Tyler Toney. They have more than 37 million YouTube subscribers and one of their most viral videos gained a jaw-dropping 175 million views. This involved throwing Ping-Pong balls to trigger the collapse of a domino of Oreos. Dethroned from last year’s top spot, electric-blue-haired DanTDM or Daniel Middleton ranks number three for 2018. The gaming enthusiast from Britain has been playing online games, such as Minecraft and Pokemon in front of the camera for six years now and has attracted over 20 million subscribers on YouTube. Professional makeup artist and cosmetic creator, Jeffree Star, has been Internet famous since the days of Myspace. He currently has more than 11.5 million subscribers on his YouTube channel and sells more than 100 million dollars worth of his own makeup products every year. Mark Edward Fischbach,a.k.a. Markiplier on YouTube, entertain his 22 million YouTube subscribers with funny gaming videos, original comedy sketches, animated parodies. The Hawaii native toured North America this year and has signed big-ticket, seven-figure deals with high-end brands. Other notable YouTube celebrities on Forbes top 10 lists are Vanoss Gaming (17 million U.S. dollars), Jacksepticeye (16 million U.S. dollars), PewDiePie (15 million U.S. dollars), and Logan Paul (14.5 million U.S. dollars) who was infamously kicked out of YouTube’s Google Preferred program after filming a grotesque video in Japan showing a body of someone hanging from a tree who committed suicide.